DECEMBER | PAGE 30 | 2015 Dialogue and Dishing for City ArtWorks What: City ArtWorks' Art of Conversation Luncheon. 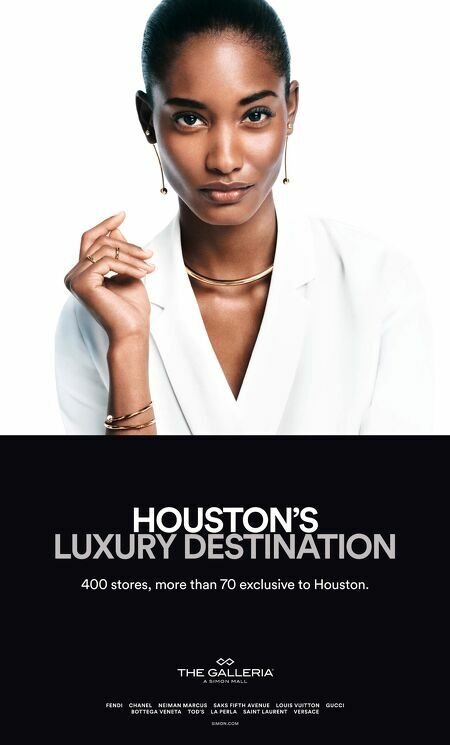 Where: The Junior League of Houston. Who: Co-chairs Deborah Colton and Evelyn Leightman; honorees Olga Bush and Denise Bush Bahr; more than 30 local conversationalists including former Houston Ballet principal dancer Lauren Anderson, philanthropist Lester Smith, Bill Colton, Dr. Holly Carlson Zhao, Theresa Roemer, Joe Schenk, Lisa Falkenberg, Pamela Wright, and Ryan Pontbriand. PC Moment: Almost 300 loquacious guests celebrated the nonprofit visual arts education organization by watching Houstonians of note lead roundtables in an engaging dialogue for the eighth year. The City of Houston proclaimed November 2 as City ArtWorks Day in observation of CA's dedication to educating more than 50 schools citywide for over 30 years. Matthew Ramirez KIM COFFMAN Bill Colton & co-chair Deborah Colton Jennifer Roosth Shushana Castle Sandi Seltzer Bryant, H.J. & Margaret Bott Loli Fernández-Andrade Kolber Co-chair Evelyn Leightman & Dan Leightman Joe Schenk, Kiera Howell Lucinda Loya, Harry Maurer Warner Roberts Lauren Anderson Honoree Olga Bush Honoree Denise Bush Bahr Beth Wolff Patsy Andrews, Jonathan Sandys Jana Stiffel Sharon Brier, Ryan Pontbriand Jana Arnoldy Penelope Marks, Mary Arocha Dan Phillips, April Gauss Minnette Boesel, Sixto Wagan Betty Tutor, Lester Smith Joann Crassas V I C T O R V E L Y A N Lew isUSA .com/De sig nerDays December 10-11 & Thursday / Dec 10 1 2 -7 P C L E A R L A K E Friday / Dec 11 1 2 -7 P U P T O W N P A R K Choose from an assortment of exotic stones to design your own couture piece one-on-one with the artist himself. Earn Double Loyalty Royalty Rewards on Purchases Made During the Events. 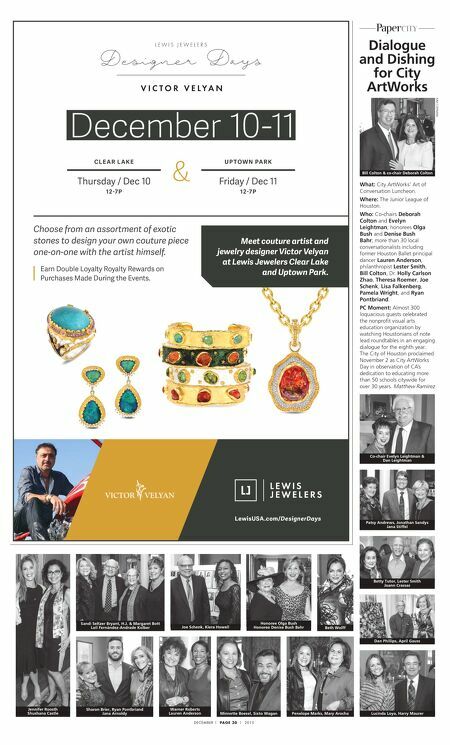 Meet couture artist and jewelry designer Victor Velyan at Lewis Jewelers Clear Lake and Uptown Park.